The Catering Company has over 20 years of hands on experience in the culinary field. One of our creative directors, personally meets with each and every Bride to plan a perfect menu for your reception. Does your family have a special recipe or a food to include? No problem! 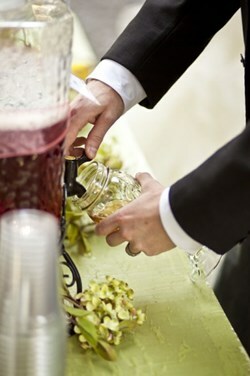 The Catering Company can customize a menu to fit your specific needs. Imagine your reception with great-tasting food accompanied with beautiful, eye-catching decor and attention to detail! By choosing The Catering Company to cater your wedding reception, you will never incur any extra charge for services like: cake cutting, cleaning and clearing away tables, or site clean up. Also the buffet prices include china, silverware, and linen napkins. My experienced staff and I strive to ensure that every single detail of your special day exceeds all your expectations. If you can dream it, we can achieve it. Interested in receiving text alerts about Wedding Information? Copyright © 2019 The Catering Company. All Rights Reserved.